The stars have aligned with the return of multi-platinum selling band DNCE onboard Royal Caribbean International for a live musical performance to celebrate the Great American Eclipse, a phenomenon 99 years in the making. On 21 August 2017, DNCE will headline Royal Caribbean’s bucket-list-worthy solar eclipse viewing party with a surprise guest for an out-of-this-world performance during the exclusive seven-night Total Eclipse Cruise onboard Oasis of the Seas, one of the world’s largest and most adventure-packed cruise ships. Adventure-seekers will have the vantage point of the century when Oasis of the Seas positions itself along the eclipse’s path of totality where the moon completely masks the sun for a few minutes of total darkness. Building up to the unprecedented moment at sea, DNCE front man Joe Jonas and all-star bandmates, including bassist and keyboardist Cole Whittle, guitarist JinJoo and drummer Jack Lawless, will perform the band’s heart-pumping hits such as “Kissing Strangers”, “Body Moves” and, of course, “Cake by the Ocean”. 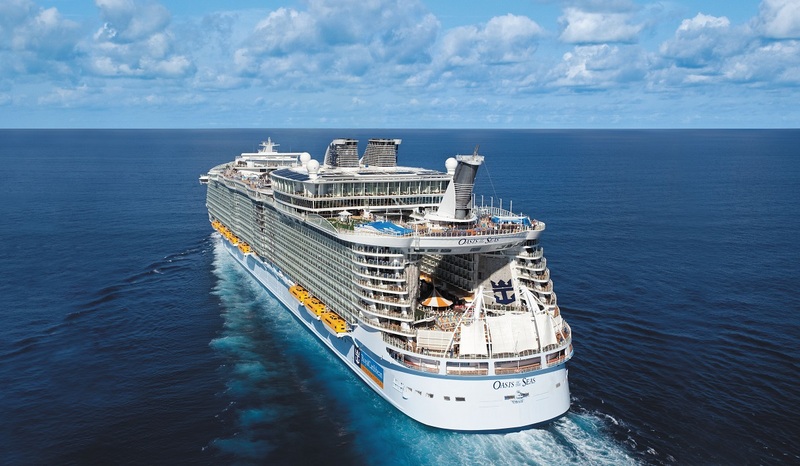 Guests booked on the Total Eclipse Cruise can visit Royal Caribbean’s website and reserve their complimentary seats for the concert by logging on to their reservation. Travellers sailing onboard Oasis of the Seas will also enjoy the ship’s bold and unexpected line-up of experiences and amenities. From two FlowRider surf simulators and a zip line nine decks high – speeding riders 82 feet across an open-air atrium, to unparalleled entertainment, including Broadway-style shows and high-diving, acrobatic performances in the iconic AquaTheater; and world-class dining at 150 Central Park by James Beard award-winning chef Michael Schwartz, there is an adventure for travellers of all ages aboard Oasis of the Seas. The seven-night Total Eclipse Cruise onboard Oasis of the Seas will set sail on 20 August 2017 from Orlando (Port Canaveral), Florida, and visit Caribbean destinations in the Eastern Caribbean, including Phillipsburg, St. Maarten; Charlotte Amalie, St. Thomas; and Nassau, The Bahamas. Thrill-seekers can book now to witness this historic event at sea by visiting RoyalCaribbean.com/TotalEclipse, calling 0844 493 3033 or contacting their travel agent.